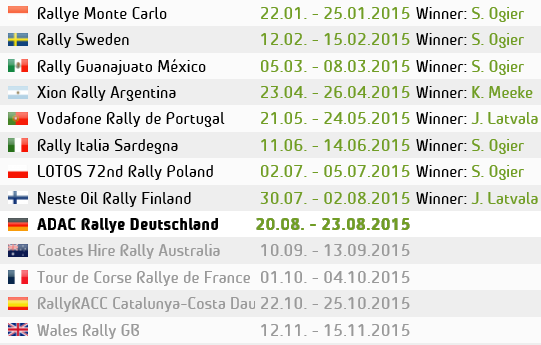 Once again the WRC was totally dominated by one man named Sebastien. winning 19 of the 22 stages in his Volkswagen Polo R Ogier took the win on Rally Australia by 1min 32.1 seconds to Thierry Neuville. Throughout the weekend it looked like Ogier could take the drivers title. However drama on the final final stage including a puncture for Mikko Hirvonen cost him second place. with Neuville moving up to take 2nd, mathematically putting the title just out of reach for Ogier. However the Frenchman still takes the victory and is set to take the title on his home round in France if all goes well. “The team told me at the finish line that I had missed the title by one point because Mikko had a problem. 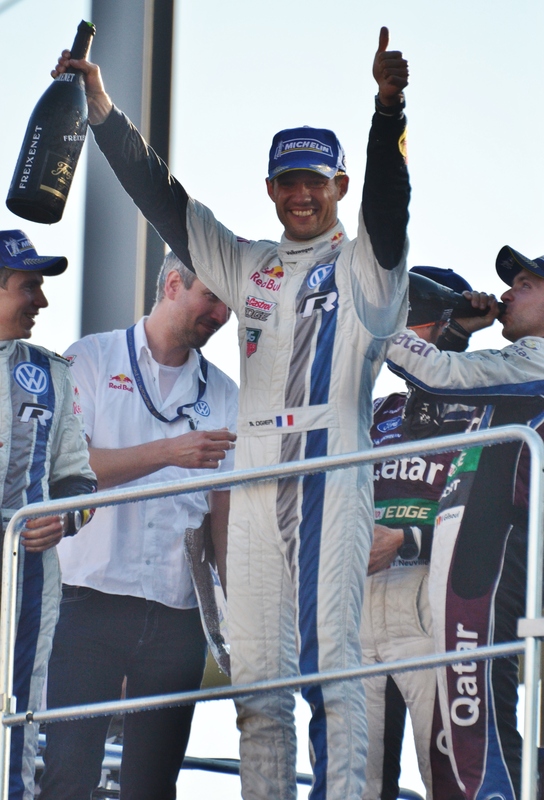 I tried my best,” said 29-year-old Ogier, who was congratulated at the end of the stage by his father, mother and sister. “The most important thing is that we did another perfect rally and we thought it was OK for the title, but it can’t be written down yet. When you do a perfect job like that you expect to get it, but it’s going to happen soon,” warned Ogier, who has three rounds remaining in which to be secure the crown. Other Drama on the final stage included Puncture for Mikko Hirvonen and Jari Mati Latvala although they both didn’t understand where or what caused the tyres to puncture. Kris Meeke had to retire for the 2nd time on this event with broken suspension. Meeke coming to stage end with his rear right wheel hanging off. Rules now state that cars can’t drive on public roads back to service on only 3 wheels for safety reasons.